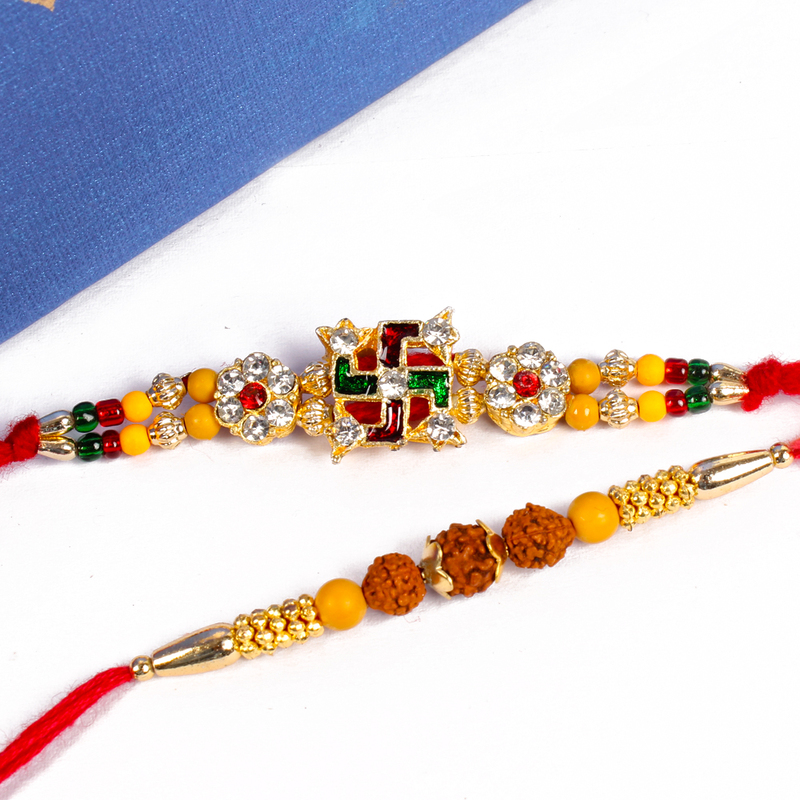 Set of 2 Devotional Rakhis contains Shubh sathiya thread with full of diamonds studded and Rudraksha fancy Thread along with Packet of Roli Chawal. 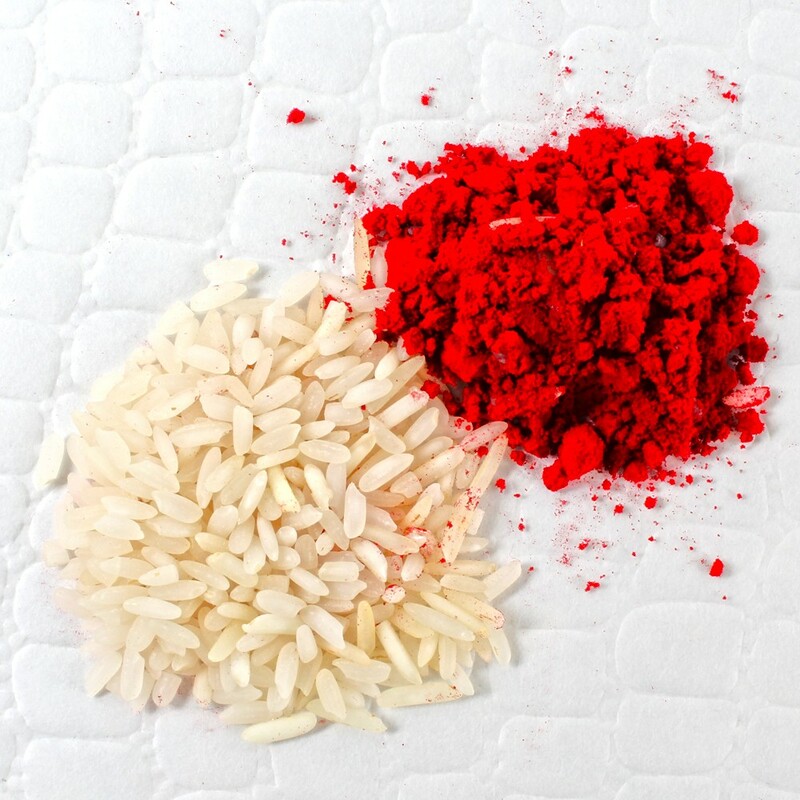 The Raksha bandhan is the lovely occasion for brother and sister. Raksha Bandhan is around the corner you should definitely look to treat your brother to some amazing rakhi in gift like this one. 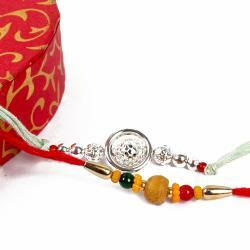 Beautifully designed Rakhi that will charm you with its lovely design and will adorn your brother. Make him feel more special courtesy this Rakhi which looks amaze and should definitely look fabulous on your brother wrist. This beautiful Sathiya Rakhi with Rudrakasha work thread, which looks very traditional and spiritual. A rare and unique combination of Devotional rakhis for your brothers adorned with fancy pattern beads. Product Includes : Set of 2 Devotional Rakhis contains Shubh sathiya thread with full of diamonds studded and Rudraksha fancy Thread along with Packet of Roli Chawal.